Tesla and SolarCity have recently developed a new solar roof that can be integrated within glass roof tiles. We need to make solar panel as appealing as electric cars have become. The goal is to have solar roofs that look better than normal roofs, generate electricity, last longer, and have installation costs less than a normal roof plus the cost of electricity. Why would you buy anything else? Musk is also the chairman of SolarCity. In 2006 the PayPal cofounder announced that he was financing Tesla and SolarCity to power all vehicles, businesses, and homes with carbon-free solar power. To achieve this, Musk stated that he must first generate cost-effective, ubiquitous renewable energy that must be stored in affordable, compact batteries; develop building systems and cars that that use these electrons instead of fossil fuels; place them into attractive, seamless products that are profitable for corporations and irresistible to the public; and finally sell huge quantities of them. 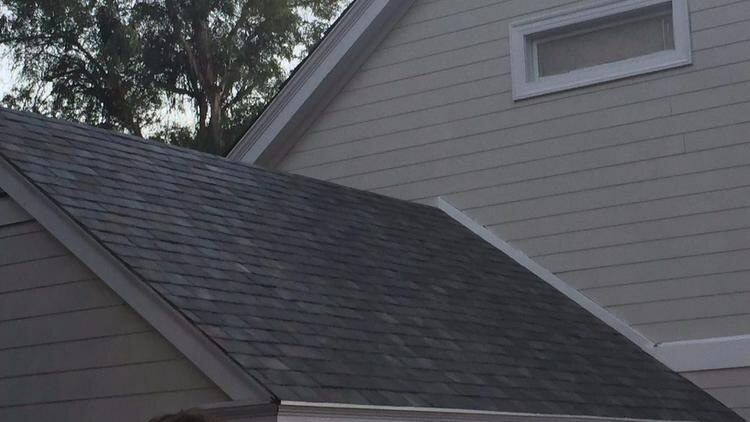 The new solar roof developed by SolarCity attempts to check all those boxes. These solar roofs were introduced at an event held on a street with luxury homes in southern California featuring these solar roofs. The hydrographically printed glass shingles of SolarCity resemble Tuscan glass or French slate, and deliver electricity into Tesla’s home batteries. PowerWall 2, a new version of the company's residential home battery, was also launched by Musk. This $5,500 home battery is capable of holding twice the energy of earlier models and can power a four-bedroom house for 24 hours, or indefinitely with solar panels. Musk and his affiliated companies are considering transformation of the PC market as their strategy for solar roofs. SolarCity is promoting its new solar roofs as an easy, aesthetically pleasing product just as how Apple changed utilitarian grey boxes with buggy utilitarian grey boxes with buggy popular status objects that simply worked. To execute this, Musk is planning to develop a single unit of software, batteries, and solar panels. The companies are bringing both manufacturing and design in-house, with Tesla producing lithium ion batteries at its Nevada Gigafactory, and SolarCity developing next generation panels at its 1.2-million-square-foot factory in upstate New York. These products will then be wrapped in decorated glass and attractive curves that can be displayed on businesses and homes. Musk has also hinted that he aims at selling these final products in his own retail outlets to complete the experience. It’s important to have tight control over the production of solar panels … to have a beautiful roof product. We’ve got to be able to iterate rapidly and have them made exactly how we want them. These new tiles will go into production in the summer of 2017, and will initially be extremely limited, "one or two homes" Musk indicated. The product will be first commercially available in California, and will spread its market. The production of Powerwall will commence from December, 2016.